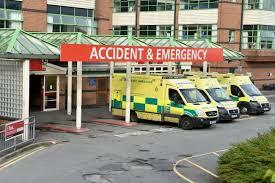 Analysis by Cardiff University found admissions of patients injured in violent attacks dropped 1.7% in 2018. It indicates a rise in knife crime, gun crime and homicide recorded by police is not part of a wider upsurge. Ecuador’s president said it withdrew his asylum after repeated violations of international conventions. But Wikileaks tweeted that Ecuador had acted illegally in terminating Mr Assange’s political asylum “in violation of international law”. 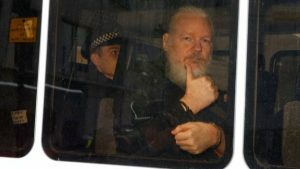 Mr Assange was initially taken to a central London police station before appearing at Westminster Magistrates’ Court on Thursday afternoon. Dressed in a black suit and black polo shirt, he waved to the public gallery and gave a thumbs up. He pleaded “not guilty” to the 2012 charge of failing to surrender to the court. A suspected gang leader was shot dead after a dramatic raid on an Austrian airlines plane on the runway at Tirana airport in Albania. 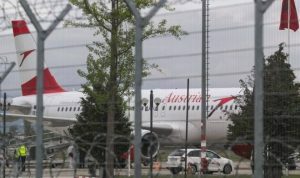 Passengers waiting for the Airbus plane to leave Mother Teresa airport near the capital saw the gang approach security police wielding AK-47 rifles. They are then thought to have entered the plane to steal as much as €10m (£8.5m; $11m) in cash. The gang fled but then ran into a police patrol and opened fire. Albanian media showed footage of a white van carrying tax agency signs being driven inside the airport fence before the robbery at around 15:00 on Tuesday. It had apparently burst on to the site through a gate used by emergency services. It is thought the masked gang had inside knowledge of the cash cargo that had been loaded on to the plane ahead of its flight to Vienna. As Albania’s central bank does not accept deposits of hard currency, some locally based foreign banks have to ship foreign currency to Austria by plane. The airport has been targeted by robbers before. Police staff have been retrained on stalking cases after a review of how they dealt with a woman murdered by her estranged husband. 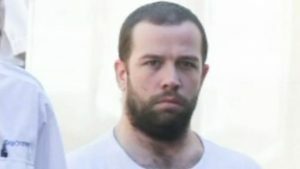 Michelle Savage alerted Sussex Police about Craig Savage’s behaviour several times in the three weeks before he shot her dead in St Leonard’s. A call handler who failed to record her final calls has been given “management advice” following a misconduct hearing. Officers are also being retrained on the police watchdog’s recommendation. Savage was jailed for a minimum of 38 years for murdering his wife and mother-in-law at their home in St Leonard’s on Sea, East Sussex, in March 2018. The former soldier shot Ms Savage six times and Heather Whitbread seven after he broke in. The Independent Office for Police Conduct (IOPC) said in a report Ms Savage had contacted the police “a number of times” between 26 February and 15 March 2018, telling them her ex was “becoming more and more aggressive”. 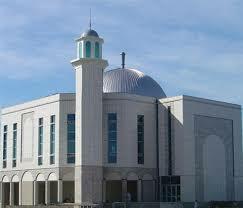 A man has admitted planning a bomb attack on a south London mosque. Bishop, of Thornton Heath, was believed to have been targeting Morden Mosque when his home was raided by police on 29 October last year. He will be sentenced on Wednesday after changing his plea on the opening day of his trial at Kingston Crown Court. He initially denied one count of possession of an explosive substance with intent to endanger life or cause damage to property. Bishop previously pleaded guilty to possession of information likely to be useful to a person preparing an act of terrorism, specifically a handwritten note on how to make explosives. When he was arrested he told the police he wanted revenge for the death of eight-year-old Saffie Roussos who died in the Manchester Arena bombing in 2017. The court heard Bishop has a history of mental health problems and a number of psychiatric reports had been prepared ahead of his trial.